Today’s news that the number of Māui dolphins has probably increased is welcomed by conservation organisation WWF. “This is really good news, that there might be a slight increase in Māui dolphin numbers, but it cannot be used as an excuse for inaction by our government,” said Alex Smith, Senior Campaigner for WWF-New Zealand. “Māui dolphins are still on the edge of extinction and need to be protected across their range to ensure their survival. The preliminary results of a comprehensive government scientific survey carried out over the last two summers has estimated the population of the Critically Endangered dolphin at approximately 63 adults, with 95% confidence there are between 57 and 75. The Māui dolphin – found only in New Zealand – is the world’s rarest and smallest marine dolphin, but currently, less than half of their habitat is protected. Set netting and trawling are the biggest threats to their survival – and have pushed Māui dolphins to the brink of extinction. 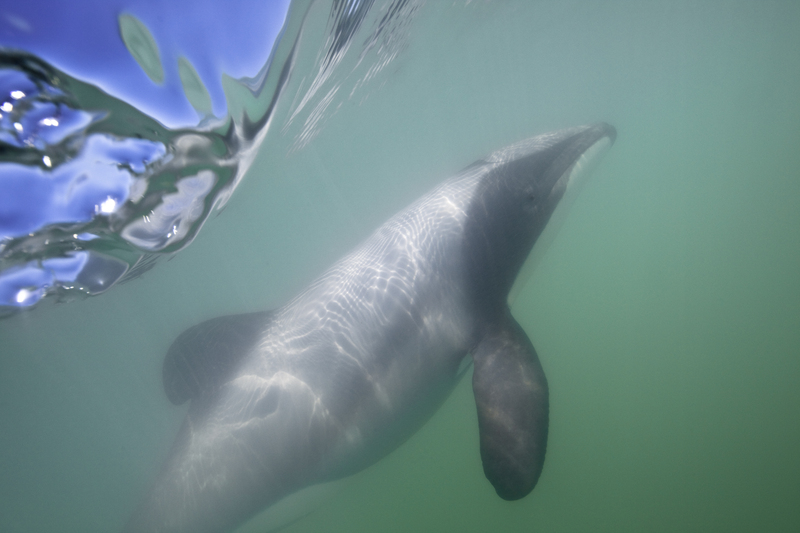 “Māui dolphin numbers are still extremely low, so to ensure their survival, they need to be protected throughout their range from set netting, trawling and risky marine mining activities,” Alex Smith said. Scientists estimate that more than 95% of unnatural Māui deaths are caused by entanglement and drowning in set net or trawl fishing. Māui dolphins are still on the edge of extinction and need to be protected across their range to ensure their survival.